Jim has been practicing law since 1994. From 1994 to 1997, Jim was the Assistant County Attorney for Belknap County in Laconia, New Hampshire where he prosecuted numerous felony and misdemeanor crimes in front of Superior Court juries. In 1997, Jim joined the Manchester law firm of Wiggin & Nourie, P.A. where he became Chair of the Domestic Relations Practice Group. As Chair of the Domestic Relations Practice Group, Jim helped to establish one of New Hampshire's foremost Domestic Relations Group with ten attorneys practicing in the areas of Family Law. In 2012, Jim opened Ferro Law & Mediation Group, PLLC in Manchester, New Hampshire to continue his work with mediation and to provide legal services for people and families. While Jim's primary office is located in Manchester, he provides legal and mediation services throughout New Hampshire including the Seacoast area. Jim is a certified marital mediator and he has extensive mediation and settlement facilitation experience in all types of family and non-family law cases. He is able to suit the needs of your particular case and is able to effectively and efficiently work with individuals who may be represented by counsel or individuals who may not be represented by counsel. He regularly provides mediation services for divorce practitioners and private parties throughout the State of New Hampshire. When Jim is not mediating, he provides legal representation to individuals in all areas of divorce and post-divorce cases in a manner designed to decrease excessive litigation and acrimony. He will work diligently to develop an aggressive resolution plan with his client in order to achieve a timely, practical and cost-effective result. Jim received his Juris Doctor degree from the University of New Hampshire, School of Law and his B.A. in Political Science from the University of Vermont in 1989. He is a member of the New Hampshire and Rhode Island Bar Associations. He is included in Best Lawyers of America for Family Law and Family Law Mediation annually from 2007 to the present. 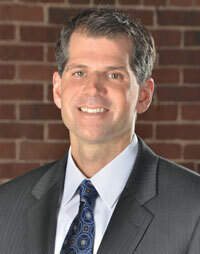 He has been named Family Law Lawyer of the Year for Manchester by Best Lawyers of America in 2012. In 2013, US News and World Report ranked his law office as the only Tier 1 office in NH for Family Law Mediation. He is regularly named as a Super Lawyer in the New England Super Lawyer edition. He is actively involved as a member of the Granite YMCA and presently serves as a Trustee on the Granite YMCA Board of Trustees. Jim co-authored the Mediation Section of the 2009 Practical Guide to Divorce Mediation New Hampshire published by MCLE, NE. Elaine has been a legal secretary for more than thirty-eight years and has worked in the areas of insurance defense, plaintiffs' cases, employment law, criminal law, and domestic law. She worked at Wiggin & Nourie, P.A. for many years prior to joining Ferro Law & Mediation Group, PLLC. Stephanie has been a paralegal for over 15 years. She attended the University of Maine and Beal College. Prior to joining Ferro Law and Mediation Group, PLLC, she worked at Wiggin & Nourie, PA in the Domestic Relations Practice and Insurance Defense groups. Stephanie has extensive domestic and litigation experience and her background includes work in marital law, personal injury and criminal matters. Stephanie is a current member of the Paralegal Association of New Hampshire.